Purple Marketing | Jigsaws marketing piece! For the fourth consecutive year Purple Marketing designed, built and helped host one of their clients stands at the Annual Multimodal Exhibition, NEC, Birmingham. “Jigsaw Transport has been employing a wide range of our marketing services for more than four years now. We started with the rebranding of their organisation followed by communication projects, sponsorship activities, POS, award submissions, website design, show casing opportunities and much more!” said Debbi Hutt, Director at Purple Marketing. 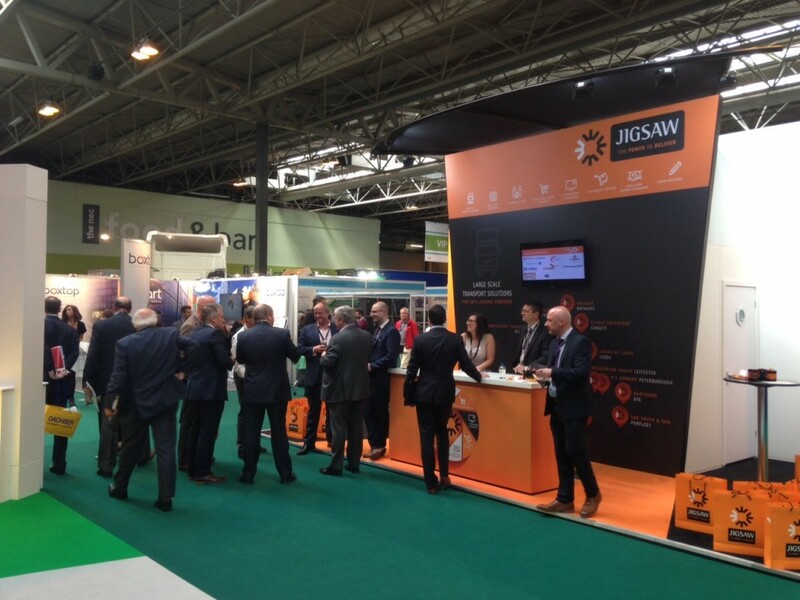 The Multimodal Exhibition is the UK and Ireland’s premier freight transport, logistics and supply chain management event so the perfect platform to show case Jigsaw’s offering of large-scale management transport solutions. “We met a number of major businesses who were receptive to our value proposition and are looking to improve the performance of their transport operations,” says Andy Humpherson, Jigsaw’s Managing Director. “Multimodal has always been a key event for us and Purple has yet again come up with a great solution. A visually appealing stand which delivered the perfect balance of space utilisation, brand visibility and customer/prospect engagement. Based on the success of this and previous years, we will be taking more space next year”. “Over to you Purple!” He added.